Kilts, cocktails and canapes was the order of the day with our recent corporate fun day. 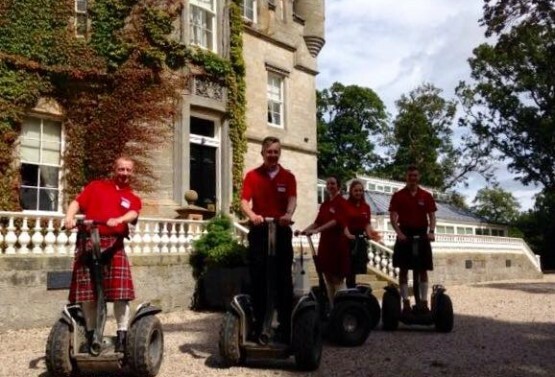 Maximillion organised a fantastic fun day for a corporate client which got everyone competing in ‘clans’ on segways (pictured), quads and Highland games. The activities then culminated in a giant tug of war. After all their hard work, our guests were rewarded with a relaxed BBQ and drinks in the sunshine, while they played giant games on our events lawn. If you would like to arrange a corporate day with us, please email Angie Alexander, our Business Development Director, for more details.